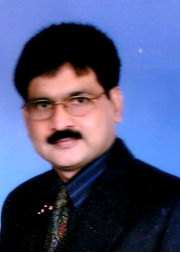 Prof. Sartaj Tabassum is working as Professor in the Department of Chemistry, Aligarh Muslim University, Aligarh. In 1994 he was appointed as lecturer in the department of chemistry, Aligarh Muslim University. He has published 114 papers in the journals of international repute. He has presented his research work and delivered invited lectures in conferences/symposia. He is a life member of ICC, CRSI, ISCB, DNA Society of India and American Nano Society. He has successfully guided 17 Ph.D and 4 M.Phil students. He has successfully completed many research schemes granted by TWAS, Italy, CSIR, New Delhi, DBT, Govt. of India. As a distinguished Scientist, Prof. Tabassum was awarded Overseas Associateship award in 2005 by DBT, Govt of India. He has signed several MoU and joint research collaboration with University of Camerino UNICAM, Italy, USM Malaysia and USTC Hefei, China King Saud University ,Saudi Arabia. He has visited many countries for academic pursuit particularly, China, USA, Italy as fellow, visiting Professor and for the international conferences. Prof. Tabassum is working in the area of medicinal inorganic chemistry and his main focus is the design and synthesis of heterobimetallic complexes which have potential to act as cancer chemotherapeutics.